The 24-Hour Mommy: Book Giveaway: Bo Sanchez and Dean Pax Lapid's "How To Turn Your Passion Into Profit"
Book Giveaway: Bo Sanchez and Dean Pax Lapid's "How To Turn Your Passion Into Profit"
My husband and I were once both traditional when it comes to earning and saving money. Traditional in the sense that we only rely on the usual money making methods such as our monthly paychecks and our various bank accounts. We would always talk about launching a business of our own but haven't got the courage to do just that... yet. Yes, we're not totally giving up on our dream. 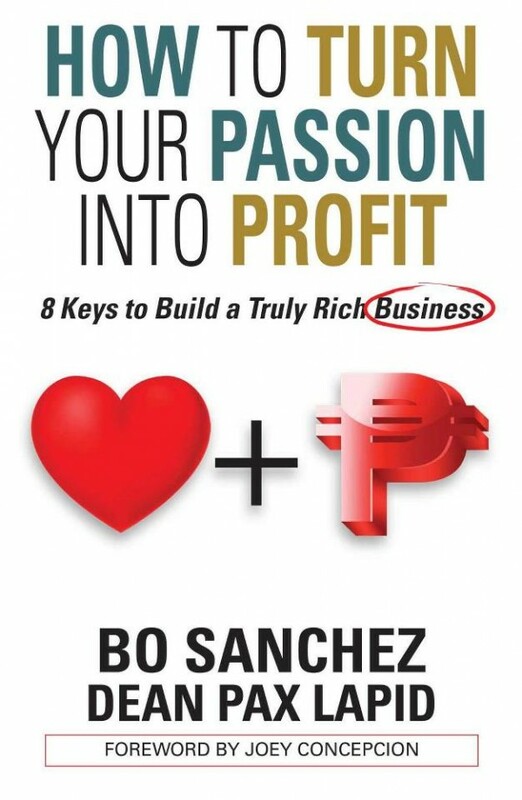 We're gonna be rich with our own successful business soon and this book, How To Turn Your Passion Into Profit, will show us how. Written by Catholic preacher and Light of Jesus Family founder, Bro. Bo Sanchez, and entrepreneurship expert, Dean Pax Lapid, How Turn Your Passion Into Profit reveals 8 keys to build a truly rich business. If you're already familiar with Bro. Bo, you'll know that he has this millionaires' group known as the Truly Rich Club. What does being "truly rich" mean? You'll find out in this book! I'm still in the middle of reading this book. Actually, it's the third in our collection as we have already read Bro. 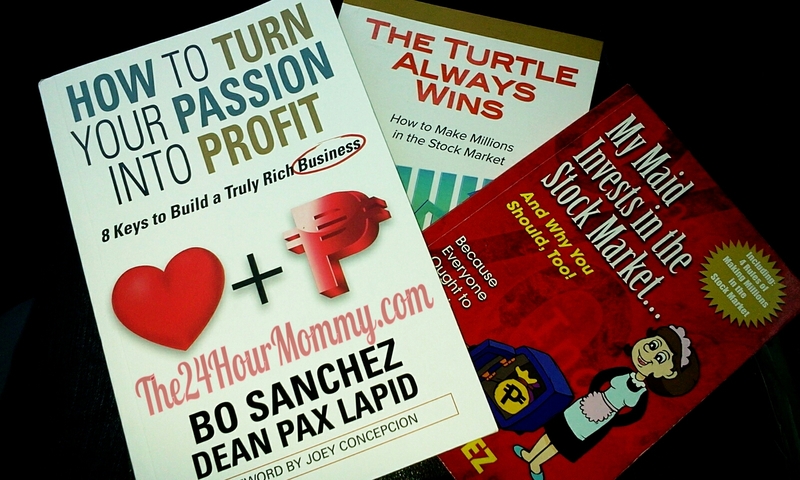 Bo's other books, My Maid Invests in the Stock Market and The Turtle Always Wins. Thanks to these books, we gained the knowledge and courage to invest in the stock market through COL Financial as suggested by Bro. Bo. We are excited to earn a lot from our investment and we're also able to encourage other relatives to also invest in the stock market. 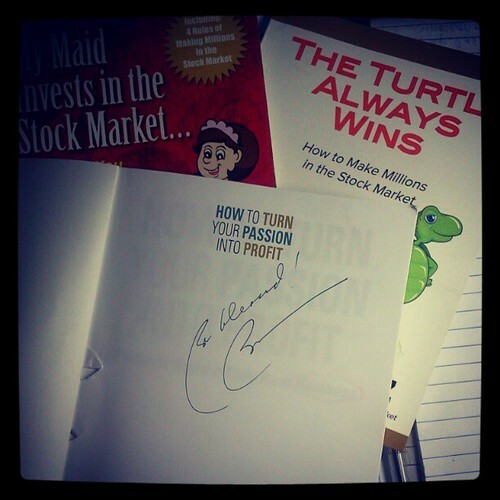 I am indeed blessed to have an autographed copy of How To Turn Your Passion Into Profit. Special thanks goes to Sheperd's Voice Publications (www.shepherdsvoice.com.ph) and to my mommy blogger friend, Tina of TrulyRichMom.com. Now here's the moment I know all of you are waiting for! 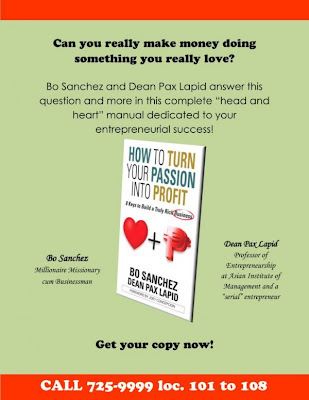 Get the chance to win your very own autographed copy of How To Turn Your Passion Into Profit by following the steps in the Rafflecopter widget below. One (1) lucky reader will win this giveaway which will run from the time of this posting until midnight of May 10, 2013. The name of the winner will be declared here and at The 24-Hour Mommy Facebook page on May 13, 2013. This giveaway is open only to readers based in the Philippines. Question: "Which publication from ShepherdsVoice.com.ph do you like the best and why?" Didache, hands down. It's the most affordable publication that allows me to have my own mini-scripture based recollection every day. Other than the book that's currently up for grabs, my favorite would have to be How to Prosper. I'm 30 and a solo parent to a 5-year-old son with special needs, so financial security is definitely part of my top priorities. By learning how to have a healthy financial life, I can impart the same lessons to my son as he grows older and at the same time focus on other important aspects of parenting and not constantly worry about money. "Which publication from ShepherdsVoice.com.ph do you like the best and why?" Simplify and have the good life. Living life simply will bring me peace of mind and contenment which I've been looking for in my life. Ans. The Turtle Always Win, for my need for financial advises this will truly help me motivate to save money. The Turtle Always Win because it is very informative. I've already read about "how to find your one true love"
This amazing book will save you from choosing the wrong guy and making tragic relationship mistakes. It’ll rescue you from years and years of misery. I want to win this, but we're in a hurry to leave home right now for our morning flight to Davao. I'll join when we get back! Promise! My favorite book was "how to prosper" because it redirected my focus on my core values before my external prosper plans. Its nurturing the inside before the outside. 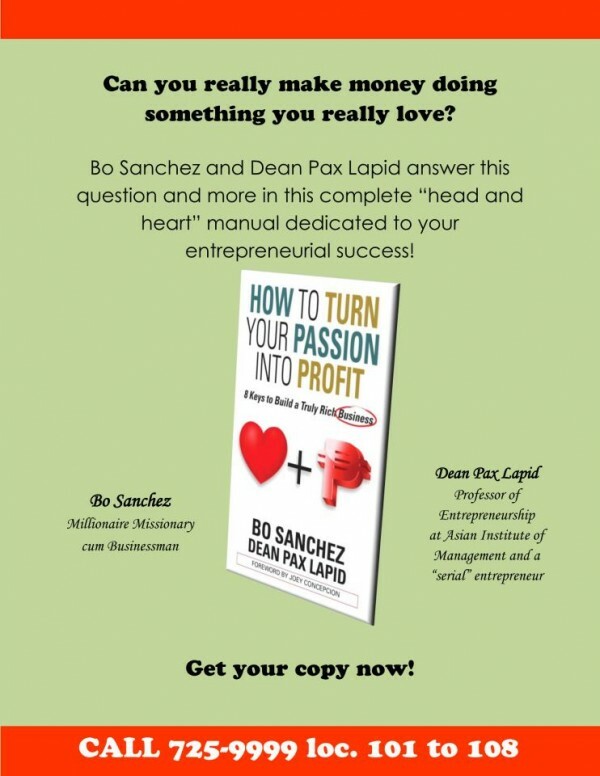 I love the How to Turn your Passion into Profit book as it would guide me in how to love and enjoy the things that I do and how to make a living out of it. My mother and I used to read Kerygma where we first head about Bo Sanchez. My mother also has his books. I would like to give this book as a birthday gift to her.